A thing a sack of problems like me is supposed to do to mitigate crippling anxiety and PTSD is to allow oneself to escape, to decompress. I am notoriously terrible at this. And it’s not just because of the overt crazy from which I suffer, but all manner of tangential hangups. Let me begin with an experience from earlier this afternoon. I was having my twice-yearly dentist appointment, which is really just a chunk of time during which a very nice hygienist scrapes, polishes, and flosses my teeth, wonders aloud at my bizarre lower teeth (long story), and warns me again to floss more. But because I don’t floss much, portions of this otherwise banal process are rather uncomfortable. I was already coming into the appointment is a kind of emotionally exhausted daze, so this seemed like a good time to practice separating myself from any stressful stimuli, to rehearse something less uncomfortable. So as that little sharp thingy scraped away at my teeth, and occasionally jabbed my tender gums, I made a point of gazing deeply out the window, trying not to think too hard or intentionally process what I was seeing, but just allow myself to take in the clouds, the colors, and the very slow movement. If I couldn’t see the window, I’d watch whatever tool was being used on me, as its handle went back and forth. I didn’t consider in detail what it was doing, just kind of stayed with it visually. I had some success with this, and found it somewhat helpful. But the larger point is that I need to make myself escape in this way, become a little “mindless” more often, and at targeted times when I really need it. I was unable to do it last night. I simply couldn’t allow myself to escape, to divert my attention from my issue-of-the-moment, but I so wish I could have. I read books slowly, and often nod off, and worry about what other books I’m missing out on, what other things are happening while I’m reading, and what more productive things I should be doing. This is probably why I have tended to favor nonfiction over fiction, because at least with nonfiction I’m “learning” something in a way that is more concrete than I might with fiction. I have made an attempt to calm myself and escape through music, and that turned into a nutty and obsessive hunt for The Perfect Headphones, documented here. But there again, I feel that allowing myself to sink into a reverie of musical consumption is somehow wasteful, that better uses of my time are beckoning. What they are, I don’t know. And more of the same with TV and movies. I resist them both because I know that they take up chunks of wakeful time that I could spend on something that matters. What are these things that matter that I ought to be doing? I guess writing, more creative pursuits, and whatnot. But do I engage in them when I’m not “escaping”? Not usually! Obviously, I do write, I do at rare times make music, but I’m certainly not filling every moment in which I could be watching a two-hour movie with artistic fulfillment. I’m probably just dicking around on the Internet and thinking about phones I don’t have. But I’m coming around a little. A few weeks ago, because I knew we’d be seeing Age of Ultron soon, I leaned back in bed, plopped my MacBook on my lap, plugged in my headphones (I have stuck with the same ones so far! ), and watched the first Avengers movie. It was about the most therapeutic thing I’d done for myself in years. What a release! What an escape! For the length of the film I was gone. I was just in this fantasy world, absorbed in something utterly removed from my own life, and when it was over, I felt, well, almost rested, even though it was probably two in the morning. Most movies aren’t going to be that effective in this way, I know that. But there are plenty that are. I still have hangups about getting stuck in a movie that just isn’t all that good, and wasting those hours. But hell, being a parent, I can really only make time for the best of the best anyway. Experimentation with something stupid or ponderous is a luxury I don’t even have. I am also being swept away by Seveneves, Neil Stephenson’s newest novel. Fiction! Long, long, epic fiction! Taking me away from me. I still nod off too easily, and I still take way too long to read, but I am trying to let that go. What really needs to happen is for me to be okay with being utterly unproductive, to allow hours to go by without anything to show for it. Not in total idleness, but in active removal. Not “boredom” per se, but engagement in activities or experiences with no industry attached. There can be some productivity as a byproduct, like when I zone out while mowing the lawn or assembling some new shelving piece or something for the house. But that’s incidental. Even in those “productive” times, I’m still not “here.” I’m still getting out of my own head. This should not be hard for me, but it is. I know I wasted years of my youth on cable and late night TV, that I threw away precious time – after school, on summer vacations – time I could have used to better myself in some way. I just let my brain rot on pop culture, which was itself an escape from other things. But it was a poor avenue of escape, a kind of trap in itself. But I’ve since overcompensated. It’s time to find the balance. The nice thing is that the only one who gets to decide what that balance is, is me. That’s also the bad thing. You Got Taylor Swift in My Trent Reznor! I am not generally impressed by Taylor Swift. I like some Nine Inch Nails and respect Trent Reznor, but I also think the whole act is a little overwrought and silly sometimes. I had no idea that the two, not unlike peanut butter and chocolate, could be so good together. And now, of course, “Shake it Off” is stuck in my head, and I’m beginning to get why the people like this Swift person so much. God dammit. I am told that I am poor at being “in the moment,” and I confess it to be the case. I am nothing if not riddled with anxieties, large and small. At my worst, I am engulfed in worries, drenched in waves of stomach-sickening dread, doubt, and guilt. But normally, just going about my day, I maintain a manageable baseline of unease; the quiet hum of preoccupation with Other Things always resonating, if just barely. I am told this is bad for my health, to say the least. I come by it all honestly, with anxious genes from my forebears, and traumatic life experiences from childhood and adulthood that have primed my lizard brain to needlessly rev itself while idle, overeager to burst into full fight-or-flight mode at the least cause, be it from a sense of physical danger to thoughts and fears of a more existential, personal, or mundane nature. But while my limbic system is asserting itself, life is happening. There’s my wonderful family (who, in fairness, trigger not a small amount of anxiety themselves), music to be carried away by, books to be lost in, the lovely natural world that surrounds me here in Maine, Earl Gray tea, writing, bicycle rides, cool autumn air, my guitar, and even dumb video games and TV shows. To enjoy these things, I need to be there for them. I need to be “present.” Usually, I am not. Being in the moment, being present, having a feeling of mindfulness; these things are enormous challenges for me. Elusive, to say the least, even when sincerely pursued. Being present, letting go of worries and preoccupations, takes up such time, time I could be spending being worried and preoccupied. There are all those Other Things! The thing is, though, the worry and the preoccupation and the anxiety, it’s killing me. It’s ruining my sleep, shredding my nervous system, bruising my heart, pock-marking my brain, dampening my intellect, deadening my creativity, atrophying my muscles, and robbing me of genuine connection with my wife and kids, who I love deeply. I suffer from depression and I struggle with post-traumatic stress disorder, but it’s also true that I could improve things by leaps and bounds if I could just manage to make room in my life – in my mind – for one simple thing. All this is to say that this is why I went on a weird and frustrating quest over the past few weeks trying to find a nice pair of headphones. You see, even though I’m a musician and songwriter, actually listening to music, escaping into it, was something I’d lost the knack for sometime in my late 20s. As the Internet and podcasts and Other Things ascended, becoming absorbed in an album became a rare thing for me. I suppose this happens with a lot of people at this age; music is something we obsess over (and spend way too much money on) as teenagers and college students, and then more or less abandon as we become Regular Adults, save for occasional trips of nostalgia. There’s another odd sore point for me, in that listening to good music comes with the baggage of opportunities missed. I once firmly believed that I would become a singer-songwriter by trade, and make a life of writing, recording, and performing music. Now that this is clearly not going to happen, it becomes more diffiult to enjoy much of the music I used to, or ought to, for it recalls thoughts of a youth spent, talent squandered, and lessons not taken. At times I get wrapped up in fantasies of what might have been, which, for when I was young and hopeful, was an exciting dream about a future, and as an adult is now a sad yearning for what can now never be. Nonetheless, in the here and now, it seemed to me that music might be a good way to claim some peace for myself. Goodness knows, we have such easy access to so goddamn much of it, that there’s almost infinite choice. I have music in my iTunes library that I’ve owned for over a decade and probably never even pushed “play” on. But music, and audio more generally, seemed like a good way to ease into the pursuit of peace. When I sit to read a book, as Other Things go on around me, I could put on a pair of headphones, play some instrumental music, and escape into the world the author has laid out for me. (What more often happens is I that get distracted or fall asleep.) 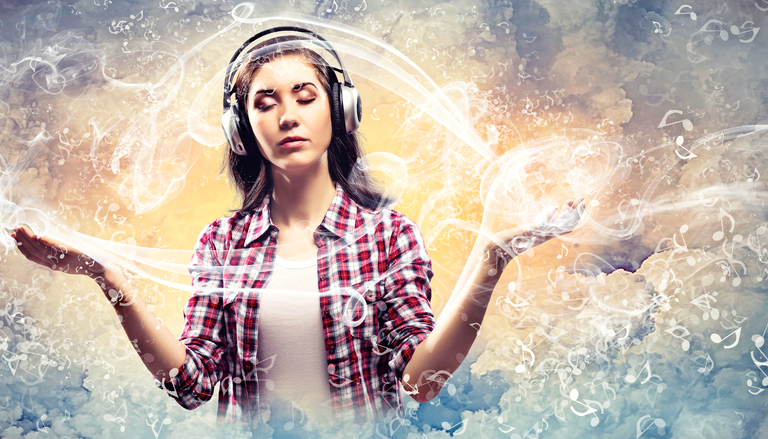 I could listen to guided meditations and affirmations to start rewiring some of the bad connections and memorizations encrusted in my addled brain. This wouldn’t be a way to be in the moment with people or nature, per se, but it would be a start, a first step toward letting the Other Things go, just for a little while, in favor of peace. To do this, I’d of course need a decent pair of headphones, right? You can’t achieve inner peace with crummy earbuds, right? Now, I actually think Apple’s EarPods are quite nice for what they are, and we have at least two pairs of them in the house. I know there’s a kind of geek-cultural agreement that these are risible peaces of junk, but I have found them rather comfortable and sufficiently nice-sounding to serve most of my listening needs over the past couple of years. But I didn’t think they’d suffice for finding peace. One needed comfortable over-ear headphones for that. I mean, everyone knows this, right? For true peace, you can’t have a little nugget in your ear canal vibrating the air and your skull. What you need is a couple of cushions lovingly embracing your ears, with earphones that produce a soundscape rich with detail. That’s the only way to peace, of course. This was the tenet I had subconsciously agreed to, anyway. So I started researching and looking for deals. I was excited to find Logitech’s UE 4000 headphones go on some crazy discount to under $20, so I snapped them up, and at first thought they were a true epiphanic discovery. It wasn’t too long, though, that I realized they were painfully uncomfortable, with a kind of mushy, heavy sound. Dissatisfied and needing to find an alternative, my hunting instinct was triggered. It was time to shop for serious. Let me say something about this. This is a thing with me, when there is an Important Purchase to be made, something takes over and I become obsessed with the process, consumed with researching possibilities, combing the Internet for bargains, digging through enthusiasts’ message boards, and gathering opinion. I used to only do this on those rare occasions when a new computer was to be bought, but that became a lot easier once I switched to Macs in 2004. But headphones were a new way for my meticulous shopping beast to howl at the moon. Thinking on it now, how could it not? Headphones are the perfect snare for me: they are of near-infinite variety, there are models and makes that are widely agreed by certain communities to be superior, but dizzying nuance exists not just between price points and types and manufacturers and brands, but within those brands and individual models. And then there are factors that can affect one’s decision such as the quality of the production or compression of the music in question; the source player, be it a computer, an iPod, or a hi-fi system; the earpads, be they stock or purchased separately, made from all manner of materials; one’s surrounding environs; and even that maddening myth (is it just a myth?) of headphone “burn-in.” Audiophiles can give wine aficionados a run for their money, which they need a hell of a lot of. And it’s not as though I live anywhere near a place that sells decent headphones, and has sufficient models on display for testing out in person. Yes, Apple Stores and other such places have headphones to sample, but they almost exclusively make available cans that are far out of my price range, which was really anything over $100 (technically, there is plenty below $100 that is out of my range, but as we can see rationality was lacking throughout this quest). I was limited almost entirely to what I could actually get delivered to my house. That meant actually buying them. I won’t bore you with the shipment-by-shipment details, but suffice it to say I spent a great deal of time on websites like Head-Fi.org, r/headphones, and deep within the lowest levels of Amazon customer reviews. And by this time I have to assume that there is a red flag over my name, or perhaps a bullseye target over my picture, at Amazon’s returns department. My primary experience was with three models: Sony’s MDR–7506, Audio-Technica’s ATH-M40x, and Sennheiser’s HD 380 Pro. I began with the MDR–7506, which The Wirecutter has long named its top choice, and has been a staple of Those in the Know since they were introduced in 1991. I was at first surprised by how neutral they were, with no Beats-like thumping bass or Bose warmth. But I was quickly shocked by the level of detail I could suddenly percieve. I could hear the slightest taps of Erin McKeown’s fingernails on “Queen of Quiet,” and the bass crescendos in Pantera’s “Walk” sounded like they were physically coming toward me. But they were also rather uncomfortable. After a few minutes, parts of my earlobes would begin to ache. I tried a few minor hacks with the earpads to mitigate this, but the discomfort was undeniable. Surely, I thought, the M40x’s would be perfect. Everyone (and by that I mean a lot of tech geeks) knows the M50x is some paragon of headphone perfection, and the M40x would just be a small step down in, well, some tech spec or other. They were big, rugged, puffy-looking, and extremely well-regarded. But to my ears, they were claustrophobic where the Sonys were expansive. The sound was meaty, focused, tight, and powerful, but somehow scrunched. I doubted my own perceptions, thinking that I might even be wanting the “wrong thing,” for how could I not like these? But on top of the sound, they too were too painful to wear for long stretches. Replacing the earpads with something softer only made the sound feel empty, drained. Off they went. The Sennheisers were very strange to me. Rather than pressing against the ears, they completely surround them, so your lobes never make contact with the hardware. I thought that might be just the ticket for my enormous ears, but the clamping sensation on my skull was off-putting, and the sound felt slightly tinny. Bass came through strongly, but mids were weak, as though being heard, well, in a can. During this process, I began to doubt my senses. Could I even distinguish between crummy and high-end headphones? Was any of this even worth it? One night (yes it was late) I tried comparing the EarPods to one of the contender models, and found I couldn’t tell the difference anymore. I was going a little bit crazy. I was feeling anxiety over the time and effort and money being put into this quest. I felt guilt. I felt worry. At one point, I returned to the Sonys. Something indeed had been lost. The vast expanse of soundstage I had perceived from my initial experiences no longer struck me. Had I simply become acclimated to better headphones generally since my first time around the block with them? Or was there really nothing special there to begin with? Despite the wash of “wow-ness” being gone, I found I still appreciated the “true” sound they produced. Not perfect, as some vocals sometimes came through a little recessed for my taste, but they still came across as superior to the others I’d gone through. I tried out a couple of different kinds of earpads that didn’t change the sound too drastically, but made them far more comfortable. You can clearly see what happened here. This all began with a sincere attempt to be more in the moment, to have a taste of relaxed mindfulness, to let go of immediate anxieties and remove myself from the frenetic stresses of work, parenthood, the news, battles on Twitter, and the like. But the process became its own source of stress. I simply had to find, if not the “perfect” solution, the solution that maximized the resources I had available to me, by way of money, time, and access to the objects themselves. But I realized I was never going to achieve some kind of zen state by way of the headphones themselves. (If there is a doorway to the sublime to be found through headphones, it is likely well beyond my price range, so I may never truly know what it is to live with a pair of $400 cans, alas.) I finally understood that I could just pick a pair that was good enough, and move on to what started all of this. The quest for peace. As I write this, I am donning my new Sony MDR–7506’s. I have a pair of Auray Ultra Deep earpads on them, which give a little more isolation and bass, and are far easier on my ears than the stock pads. I am still choosing between those and a pair of Beyerdynamic velour earpads, which are much softer, but a little less isolated, if barely. So I suppose this leg of the quest is not entirely over. But it’s manageable. It is not suffused with anxiety, just a twinge of guilt over the additional $20 spent on whichever pads I stick with. I can stop worrying now about all the Other Headphones that I might test out. The next step, the first real step, begins now. It begins with writing this essay, with enjoying music through the good-enough headphones I’ve settled on. It begins with knowing that my family is here in my house with me, safe and tucked in for the night, and feeling my connection to them even as they’re not in the same room with me. It begins with being in this moment right here, right now, and then it begins again with the next moment. And I can be in those moments with nice headphones, with crummy earbuds, or even, when I’m ready, with blessed, blessed silence. Note: Full credit to Iyaz Akhtar for first having the idea for using the Superman-related phrase “quest for peace” in the sense it’s used here. In fact, he has a whole show about it. Did you already know about this? You probably already know about this. Look, I had heard of MC Frontalot, but being 36 and out of touch, I never heard any of his stuff. Little did I know that he is artist rapping about toilet paper manufacture in Elmo’s Potty Time, which, let me tell you, I have seen many, many times. So I’m already impressed. But lemme back up. 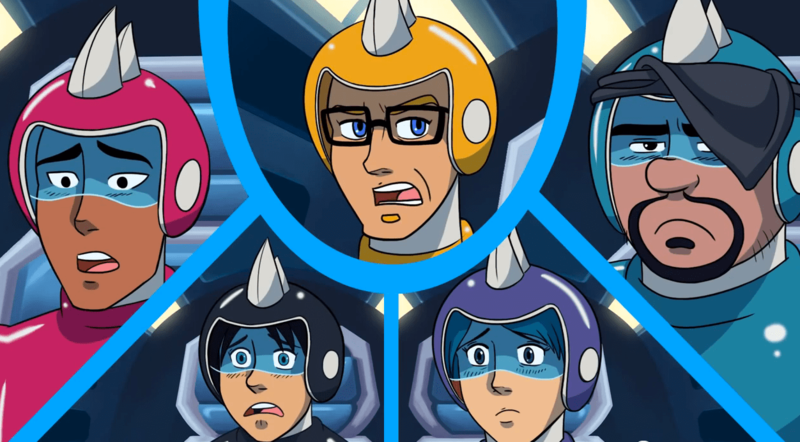 Something recently got me thinking, wow, Voltron‘s lips sure are drawn prominently, aren’t they? Yes, I was thinking about Voltron’s lips. It amused me so much to realize that, here I was, a grown man thinking about Voltron’s lips, that I made a Twitter account for it: @VoltronsLips. The bio? Because that’s what Keith, the leader-guy, always says at the end of the forming of Voltron, which, if you haven’t figured out, is a gestalt robot thing, a la Devastator, where five mechanical lions, piloted by humans, join together to form a super-robot. Okay, and then as I’m tweeting about with @VoltronsLips, @LenSanook points me to the video below, and it is now my favorite song of all time. So you probably knew about it, it’s been around a little while, but I’m having a religious experience over this. I’m doing some light Twitter culling tonight, as the relentlessness that is the Torrent of Feelings, the constant barrage of snark and attacks and outrage and disgust, is getting to be too much. Tonight I came upon this song by Jonathan Mann (the song-a-day guy who has been kind enough to pal around with me a little on Twitter). It’s just right. Smooth McGroove, he who produces amazing a cappella renditions of music from video games, has created his masterpiece. I’ve previously heaped praise on him for his versions of the Final Fantasy VII battle and Mega Man II Dr. Wily stage themes, and my absolute favorite, the DuckTales Moon theme. They all delighted me. But this, well, this is something else entirely. 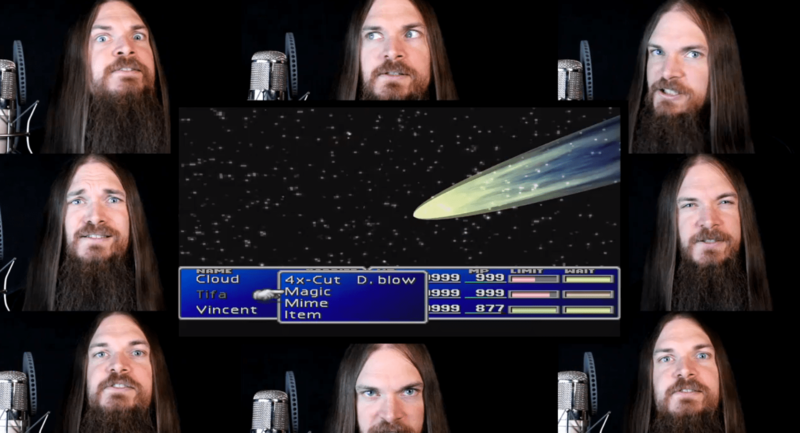 Here’s Smooth McGroove doing “One-Winged Angel,” the theme of the final battle in Final Fantasy VII versus Sephiroth — complete with the Latin-singing choir of multiple Smooth McGrooves. Not only is it musically impressive (this is an entire orchestral piece done entirely with his voice), but also his best video editing. And those scenes from the battle with Sephiroth, man, that’s some strong feelings that brings back. I tip my hat to you, Mr. McGroove.